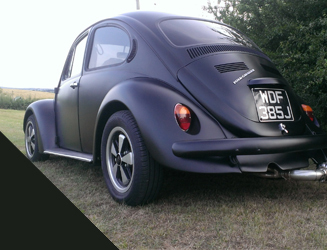 Based in Billericay, Essex, Precious Metal is a thriving VW workshop for classic aircooled and watercooled Volkswagens, classic Fords, hotrods and race cars. "I'm always pleased with the work Precious Metal does for me"
Precious Metal offers a complete service to classic car owners including regular servicing, accident repairs, electrical, mechanical and MOT work. From light restos and replacement of rusty panels to full bare metalled restorations, Precious Metal can turn your motoring love into your pride and joy. Bodywork modifications, interiors, styling, engine conversions and lowering. Precious Metal brings your ideas to life to create truly individual vehicles. Our project work covers both traditional style classic vehicle restorations and custom car builds. Take a look at some of our customers' vehicles and the work we've done to create them.